So, so pretty! 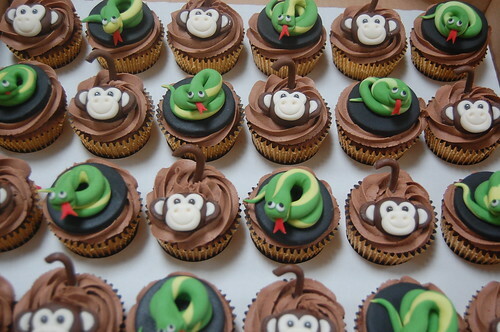 And perfect for a Spring birthday! 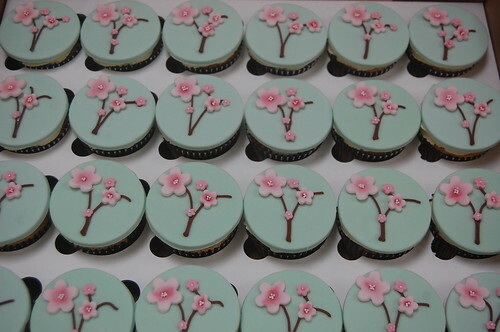 The Beautiful Blossom Cupcakes – from £3 each (minimum order 12). Oh so pretty! These colours make such a stunning combination. 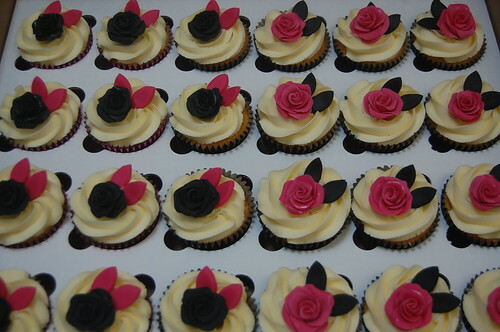 The Fuchsia and Black Rose Cupcakes – from £2.50 each (minimum order 12). 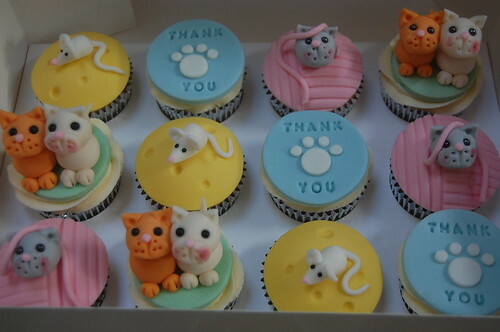 As bright as they are beautiful, these cupcakes are ideal for a special birthday – regardless of the number! 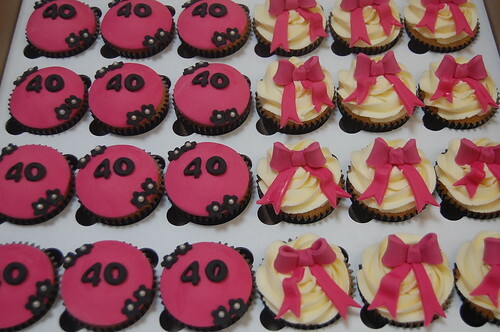 The Fuchsia and Black 40th Cupcakes – from £2.50 each (minimum order 12). 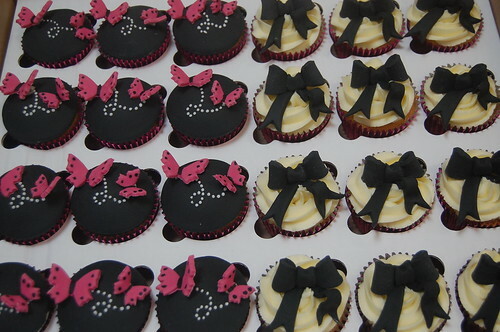 These were ordered for a 12th Night Party, so we aimed to make them wintry without being too Christmassy! 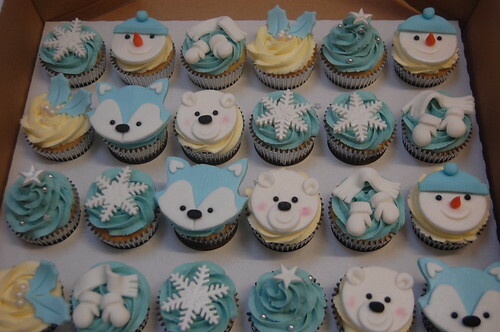 The Winter Cupcakes – from £2.50 each (minimum order 12). 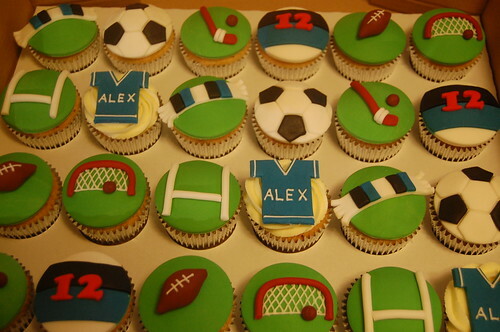 Made as a treat for a birthday boy who is performing in Peter Pan at the Theatre Royal over the festive season! 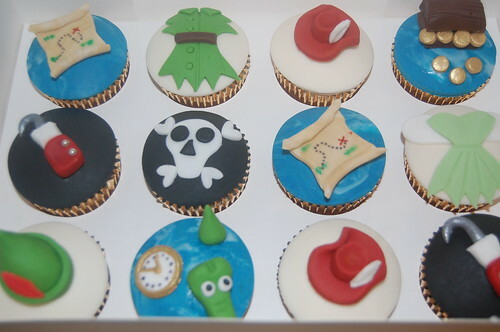 The Peter pan Cupcakes – from £2.50 each (minimum order 12). A little bit Christmassy but mainly simply seasonal, these cupcakes are sure to be a hit with young and old alike. 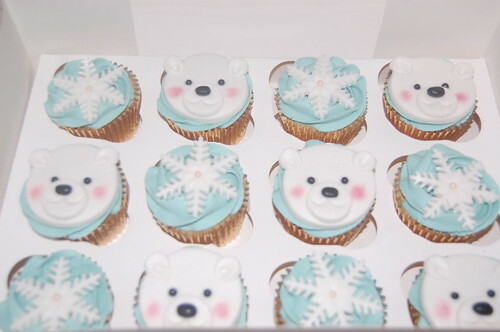 The Bear and Snowflake cupcakes – from £2.50 each (minimum order 12).